With the continued focus on improving how the public services works for the protection of children, the Royal Montserrat Police Service (RMPS) has sent three officers on detachment to the UK. Officers Fenton, Jarrett and Nelson are currently with the West Mercia Police Service from April 15th to May 17th 2016. According to RMPS officials, the officers will work alongside detectives who investigate predominantly sexual offences to gain experience and understand the various processes. They will work with officers, who are involved with ‘serious’ investigations and go through the various processes and different types of offences, which includes working with other partner agencies. During their attachment they will also be exposed to the Offender Management Team. This would assist with future management of offenders in an effort to reduce re-offending, the police release said. Commissioner of Police Steve Foster said he wished the officers well and looked forward to their return as they will impart their experience with the rest of the service. Special thanks to the West Mercia Police Service for their commitment in hosting the officers. 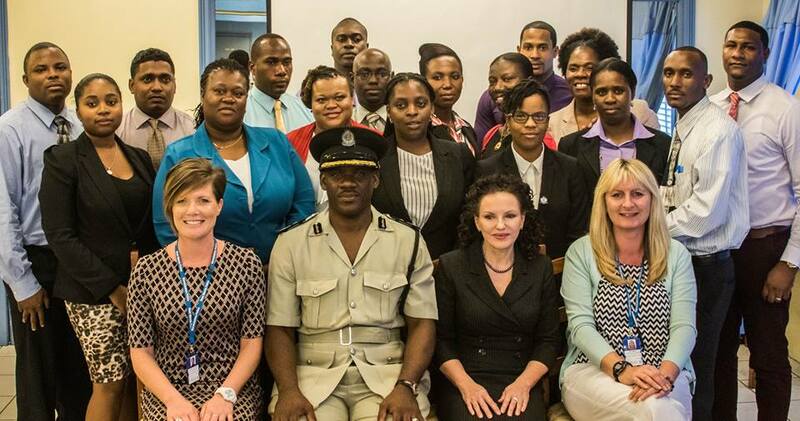 In January, officers from the UK police branch were on island to train a cross section of officers and other officials in child safeguarding tools and techniques.